The artworks and actions in the series “I’ll fight you just to get peace” were initially conceived in response to Mel Ziegler’s exhibition “Flag Exchange” at the Walter and McBean galleries at the San Francisco Art Institute. 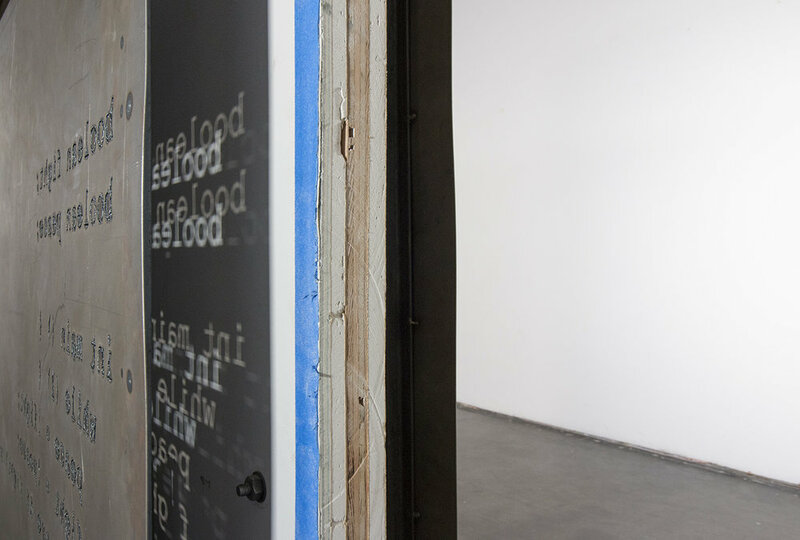 A two-part sculptural intervention inside and outside the gallery space and subsequently phases two and three which included mounting the steel plate in the gallery wall permanently and constructing a free standing sculpture as an extension of this work. Dry wall, wood panel, paint, blue tape, two CNC plasma cut 4’x4’ steel plates and a steel stand.